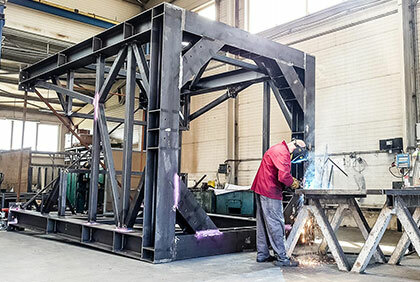 Our years of experience in design and manufacturing capacities allow us to produce large and technically demanding structures respecting customer’s order. 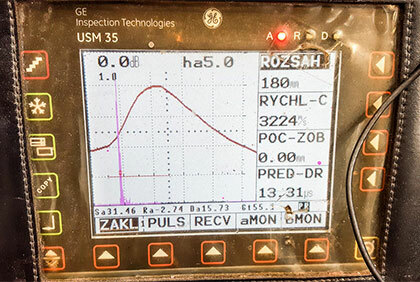 We regularly pass supply audits of the companies like Metrostav and Österreichische Bundesbahnen or VanDam. 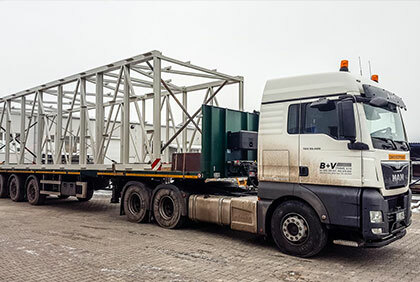 We supply structures not only to the Czech market, but significant part of our production heads abroad. We produce steel structures up to the execution class EXC3 according to EN 1090. Thanks to our experience with the most advanced projects for mechanical engineering and aerospace industry we have deep knowledge in delivering uncompromising weldments and finished products and meet required strict manufacturing tolerances. 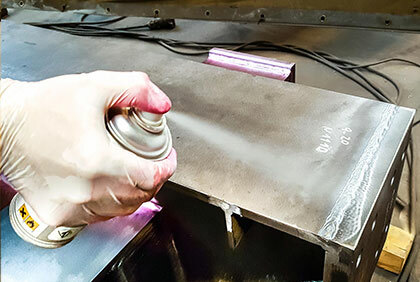 We provide visual, penetrant, magnetic powder, ultrasound and X-ray tests. We have certified projection and design process of steel structures and so we can provide both design and manufacturing. 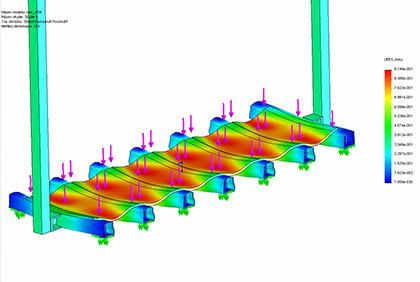 Our certified static engineers are capable of delivering trusted designs rapidly and with utilisation of 3D modelling. Our manufacturing facilities consists of two production halls with over 4 000 m2. The main production hall is equiped with two overhead cranes with lifting capacity 6,3 and 5 tons. 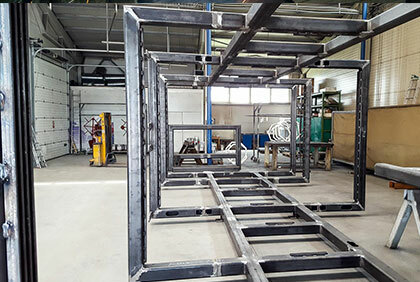 Maximum size of one weldment is 20 m in lenht and 6 m in height. Maximum production output of heavy steel structures is 1000 tons per month. Surface of the raw carbon steel material is blasted in modern automated blasting line. The material is afterwards cut on two sawing centres with maximum clamping capacity of D=600 mm. 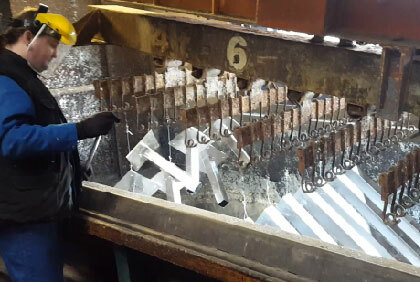 Preparation continues with punching and bending on specialized machines. Complex shapes are delivered using our Hypertherm plasma cutting centre. 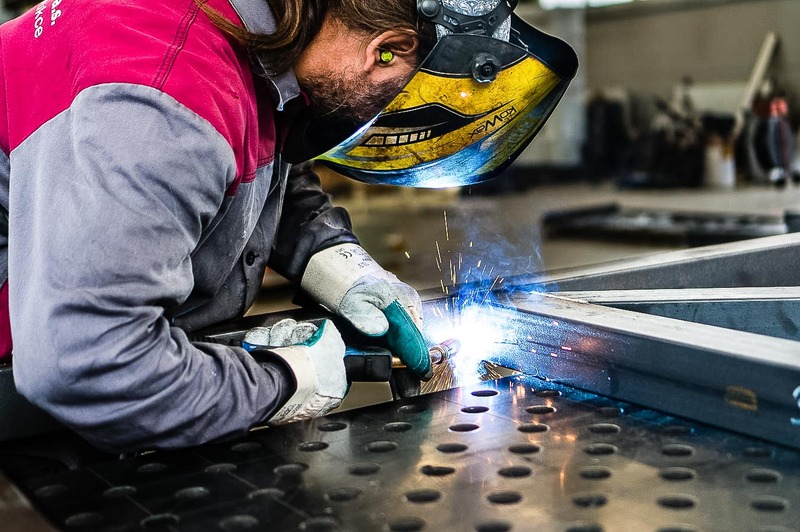 Welding is ensured by certified welders according to ISO 9606-1. 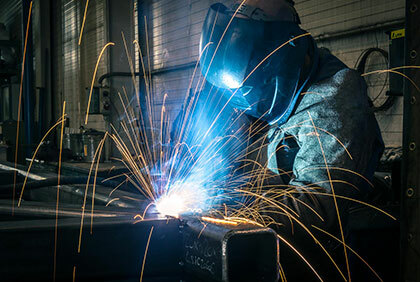 Management of welding process is established and supervised by in-house welding engineer. 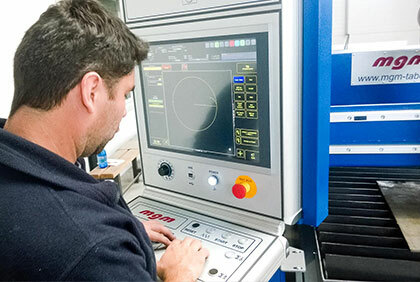 Abadia has developed stable and certified testing process which is supervised by quality manager. 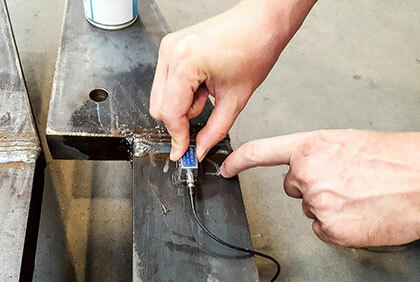 Testing in manufacturng process usually consists of dimensional checks in various stages of the production, visual and penetrant welding tests and where necessary magnetic, ultrasound or X-ray tests. Surfaces of the products are subject to various treatments. 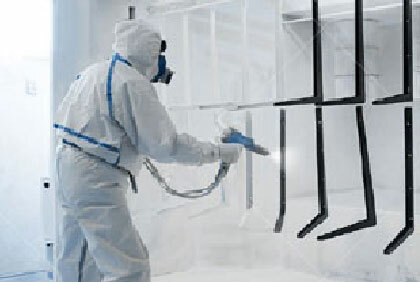 Abadia has its own wet paintshop for spray painting. 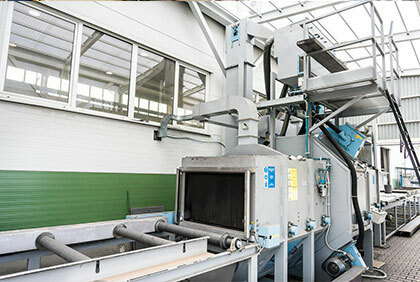 Great deal of production is subject of hot-dip galvanizing which is made by our long-term partner Wiegel. Other options are powder coating or metallization. Our production is shipped literally around the world. 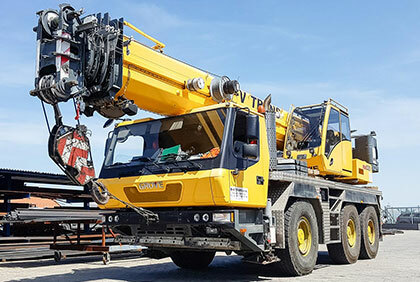 We have two lorries with capacity up to 7,5 tons and have variety of trusted partners which ensure truck transport up to 24 tons. We provide transport wherever in Europe or in overseas with utilisation of maritime container transport.